This is the seventh day of the Daily Marker's 30-Day Coloring Challenge. I've committed to coloring a stamped image from one of my many Unity stamp sets each day this month. 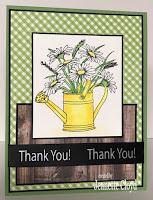 Today's image is from the Tulips and Daisies stamp set. I'm so ready for spring, so I'm loving these gorgeous daisies! 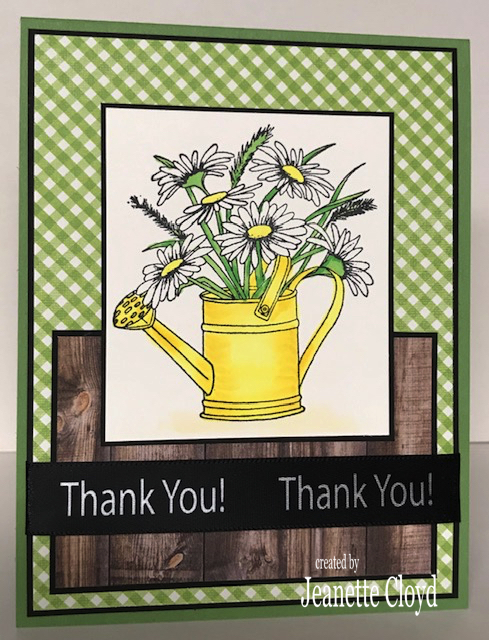 Definitely a cheery stamp and a fun spring card! Now that yellow water can is over the top. Love all your elements and how you got them to play together so well. 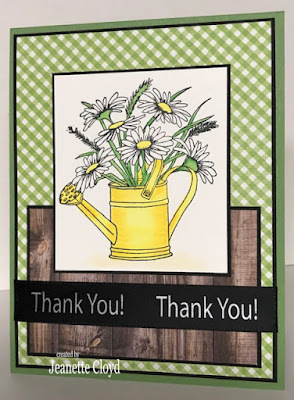 What a beautiful watering can of daisies!! 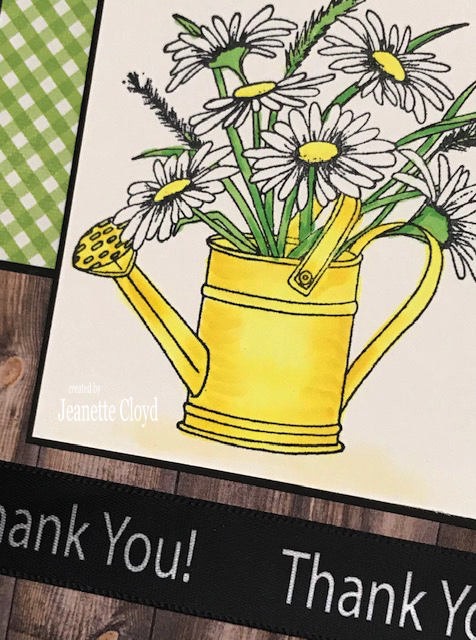 Sensational card, Jeanette!